Pink eye is also known as conjunctivitis, it is an eye infection that takes place due to different reasons. However, the most common sign of pink eye is the inflammation that takes place and you can see the white area in your eye seem to be different if not literally pink in color. For all those who think a pink eye is a common infection that will disappear on its own, well you are mistaken. A common mistake made by many is to ignore pink eye and assume it will heal and come back to its normal state in a few days time. This is certainly going to get worse even if you ignore it for a day. It is indeed alarming to have any kind of eye infection let alone be a pink eye. When people talk about a pink eye, they feel it is a something that will come and go on its own. However, the truth is that when you have a pink eye, it is a very alarming condition. If you don’t do anything to treat it, the chances of it spreading from one eye to another and of course one person to another are very high. The infection rapidly spreads and it needs to be treated in the right manner. 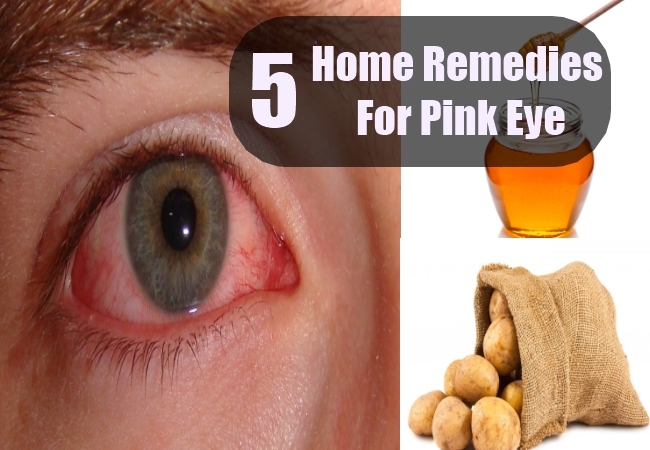 Surely you can opt for over the counter medicines, but if you wish to go the natural way, something that comes with no side effects whatsoever then rely on home remedies for pink eye. Most people understand the true benefits of home remedies and natural treatments, which is why they are willing to use and rely more on home remedies than other options. As you know honey is a very effective natural antibiotic that can cater to any kind of infection. Going by its taste, not many people fall for the fact that honey can actually have such superb healing properties. However, in the case of a pink eye, you will most certainly find immense relief and quick healing by relying on honey. You need to use honey water because the consistency of honey in its natural form is very thick. You can take some honey and mix it with some water, heat it a little bit so that the two can blend well. Once the blend comes down to room temperature, you can drip some drops into your eye. Try doing it at a time where you can afford to shut your eyes after the drops have been seeped inside your eye. The better it blends into your eye, sooner the infection would come down. You must repeat this procedure for at least three days and for three to four times a day. Most certainly you will find immense relief. 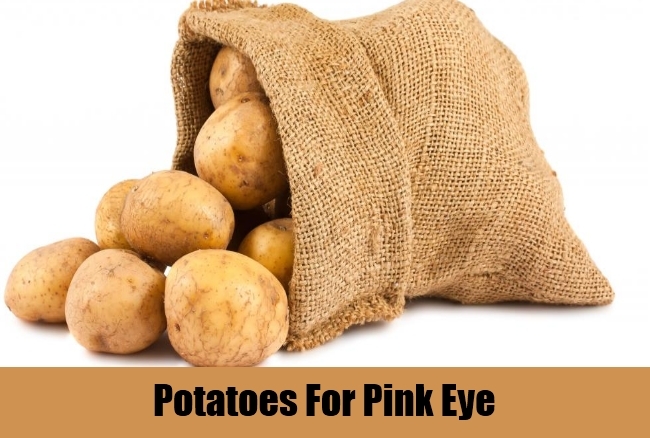 Another very useful home remedy for pink eye comes in the form of potatoes. If you are wondering that potatoes are only used to get rid of dark circles around the eye, well that is not all that you can expect from it. What you must understand is that eye area, both within and outside is very sensitive and whether you have pink eye or any other infection or concern, you cannot just use anything and everything on or inside the eye. This is where you must rely on potatoes, it is a natural astringent that will cater to the pink eye, work on the infection and give a very soothing effect. All you need to do is take a slice of potato and let it stay on your eye for ten to fifteen minutes. If you want to go for its alternative, you can use potato extract and let it stay on your for the same time. Make sure it doesn’t enter your eyes. By repeating this process for two to three days, you are most certainly going to find complete relief from pink eye. Whenever you infection, swelling or pain, compressions usually works. There are some who only think of compressions to be using hot elements like hot water. However, in reality it is best to use either cold or warm compressions. 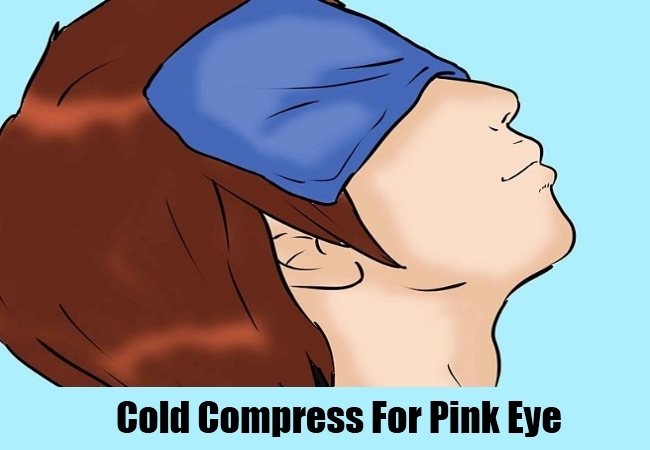 Especially when you are catering to pink eye or any other eye infection, make sure you choose cold or warm water compressions. Make sure you use a thin and soft cloth, dab it slightly and softly onto your eye. Continue doing this for at least ten minutes, and repeat this procedure for two to three times a day. All the bacteria and other infection causing agents will disappear and at the same time you can expect the swelling to come down. Fennel seeds are very useful in treating eye infections, especially pink eye. Of what has been stated, experts state that fennel seeds have in them immense properties to cater to almost all kinds of pink eye symptoms. Fennel seeds bring with it umpteen anti-bacterial properties. It is not just used to treat pink eye but it caters to other kinds of infections too. However, while treating pink eye, it needs to be used in a certain manner. 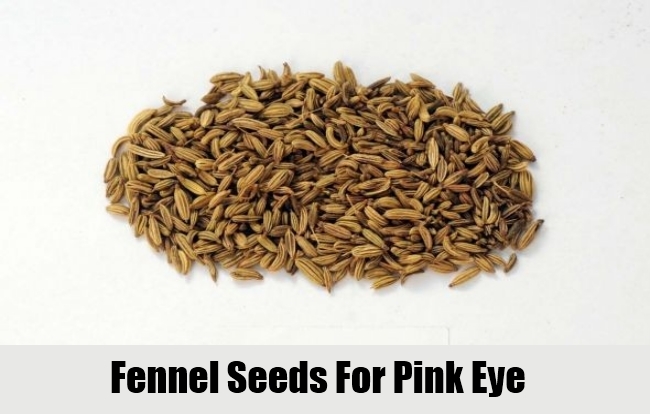 For pink eye, you must boil some fennel seeds for at least fifteen minutes so that the water can get into the flavor and essence of fennel seeds. Once you boil it nicely, strain the water and use it as an eye wash. Make sure you don’t use the hot blend; wait until it cools down to room temperature. When you wash your eyes with it, certainly the solution will help reduce swelling, redness and infection of the eye. Another very helpful remedy is Aloe Vera. Aloe Vera comes with natural healing properties. Just as how it is very useful for skin and helps repair skin damages, it does wonders to heal pink eye too. Aloe Vera basically comes with plenty coagulating properties and with it there are natural astringent as well as antibiotic properties. 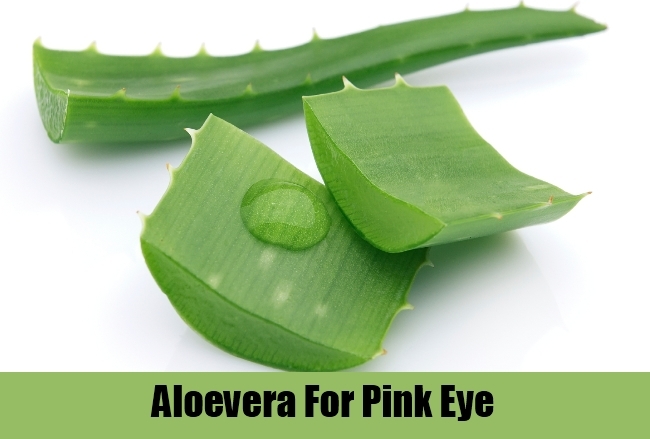 All you need to do is take some cotton and dip it into Aloe Vera juice and give subtle compressions to the eye or let it stay on the eye for at least ten minutes. Make sure you don’t open your eye simply because it could lead to a burning sensation. As long as you do it right, you will find the redness as well as the pain disappears sooner.